Celebrate Easter with your family ... here are some ideas! These Scripture readings, fun activities, and discussion points will help your family focus on the most pivotal Christian truth: Christ died and rose to save us from sin! 1. Buy an Easter lily for your home. The lily symbolizes new life because something so strikingly fragrant and beautiful grows from a lifeless-looking bulb. 2. Paint a spring mural. Put up a wall-sized piece of paper, tape newspaper to the floor, dress your child in old clothes and get out the paints! Even if it's not greening up outside, you can start springtime indoors. 3. Take a "new life walk" outdoors, searching out tiny shoots, sprouting buds on trees and eggs in birds' nests. 4. Explain the word redemption, using the dictionary definition as well as the Christian doctrine (hints: "recovering ownership" and "restoring value="). 5. Bring springtime indoors. Buy potted crocuses, daffodils or tulips for your home. 6. Help your child understand why Jesus was called "the Lamb of God" (his role as the unblemished sacrifice: Ex. 12:21-24; John 1:29; 1 Cor. 5:7-8). With your child, make a lamb. Glue cotton balls to a small paper plate, then add pink and black construction-paper eyes, ears, muzzle, nose and hooves. 7. Read or summarize Exodus 12:1-42 to give an older child a context for the Passover celebration that Jesus observed the last week before his death. Explain Christ's death as the ultimate sacrifice for sin and discuss the significance of God giving up his firstborn Son. 8. Fill a clay pot with soil and grass seeds. Your kids will be able to watch the swift growth of the grass shoots. Look up 2 Corinthians 5:17. As a symbol of a "new creation," make butterflies using a large piece of wrapping tissue scrunched and secured in the middle with a clothespin. 9. Define resurrection for your kids. Have an older child undertake a "Bible hunt" to identify people who died and were raised to life. In every case, Who did the resurrecting? 10. Buy inexpensive packets of summer flowers, place each packet in a separate envelope, then decorate the envelopes with pictures of the full-grown flowers. School-age children can write the flower name on the envelope. Offer these as Easter gifts for friends or neighbors who enjoy gardening. 11. Make this a gift-giving season. The gift of Immanuel, which we celebrate at Christmas, finds its ultimate expression in Christ's sacrifice. Homemade gifts, such as cookies or cross-shaped paper bookmarks, are best. 12. Create simple spring animal puppets using paper lunch sacks with construction-paper faces glued to the bottom panel. Then have a family puppet show! 13. Find an old muffin tin and fill the cups with soil. Help your child plant a different type of flower seed in each compartment. As the plants begin to come up, thin out the growth by removing weaker sprouts so two or three healthy flowers grow in each cup. 14. Read Matthew 26:1-16, 47-56. Talk about your child's experiences of betrayal or disappointment in friendships. Imagine Jesus' personal hurt at Judas's treachery and the subsequent desertion of Christ's closest allies. 15. Define atonement, helping your kids understand the ideas of making amends or repaying a debt that is owed. 16. Read Isaiah 53:2-8. Depending on the maturity and readiness of your child, describe Jesus' sufferings on the cross. 17. Explain the word alleluia, which comes from a Greek translation of a Hebrew phrase meaning "Praise the Lord"—a call to worship. 18. In Greece, Christians celebrate Easter with a festive outdoor banquet. On the first warm-enough day, eat lunch together outdoors. 19. Explain repentance in terms of understanding God's holiness and seeing yourself through his eyes. Emphasize God's loving desire to redeem sinners. 20. The idea of new clothes for Easter comes from the Easter Sunday tradition of some churches to bring in new members or to baptize new believers dressed in white. Just for fun, make an Easter bonnet by decorating a paper plate with silk or paper flowers. Two slits on opposite sides of the plate allow a ribbon to pass through so you can tie it underneath your child's chin. 21. Act out the "parade" of Palm Sunday as a family. Have family members take turns putting themselves in the place of Jesus, receiving a royal welcome but knowing that the crowd's intentions would change in less than a week. Note: the word hosanna translates "save us, we beseech thee." 22. Make hot cross buns—small, spicy, sweet buns that are a traditional Easter treat. 23. Clean house! 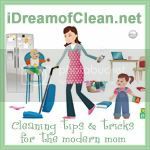 Jewish families typically cleaned before the Passover celebration. 24. Discuss Jesus' experiences in the garden of Gethsemane in Matthew 26:36-46. Then read his prayer for all believers—including your family—in John 17:20-26. 25. The name Good Friday probably evolved from the phrase "God's Friday." Talk about why the day Christ died is ultimately very good—the best—because we all need a Savior. 26. Get a clearer idea of the miracle of the tomb rock rolling away by finding a large rock and trying to roll it yourselves. Note that only an act of God could put the guards to sleep and move such a big stone. 27. Practice the traditional Easter greeting: "Christ is risen!" and the reply: "He is risen indeed!" children that share Christ's love just by seeing their smile. Give thanks to the LORD, for he is good. His love endures forever. Amen! I really wanted to catch-up on my blogging. I thought I had it all figured out. 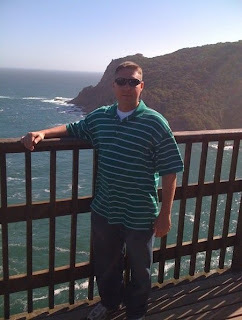 Shane is on a 10 day trip to South Africa for a site view and training for the upcoming summer mission project. I thought I will have plenty of time to blog. Little did I realize, all the pictures and activities I wanted to share; are still on my memory card. Which is now residing in Cape Town, South Africa with my sweet husband. Needless to say I wont be doing that much blogging about the some of the things we have down over the past 2 months, but I do have a few little surprise blogs to come. And when Shane returns with my camera and memory card I will be able to share some pictures of South Africa too. I hope you are having a wonderful day, Please keep Shane and Mrs. Kelly in your prayers over the next ten days. 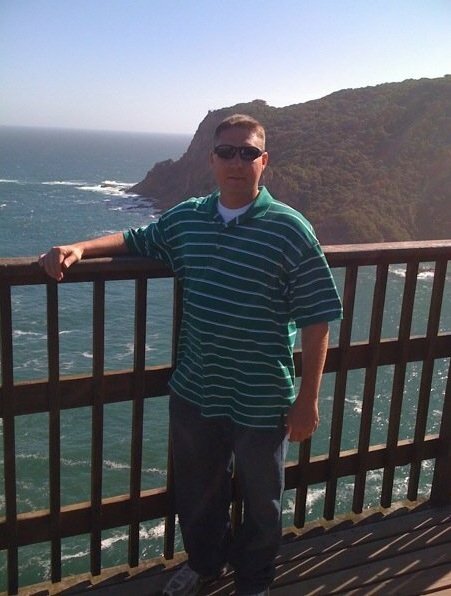 Here is a picture of Shane from his first visit to South Africa in 2009. Here is the link to the IWC SOUTH AFRICA GEORGE 2011 Facebook page.